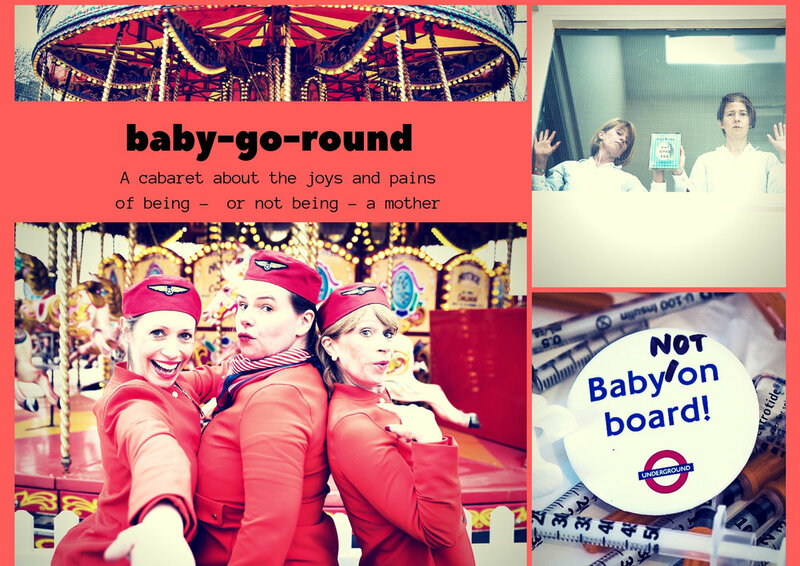 Open rehearsal/Edinburgh preview of Baby-Go-Round - a cabaret-style show with song, dance and comedy sketches about motherhood and the joys and pains of being – or not being – a mother. Time is ticking for Kate to have a baby ... how far will she go to make it work? Georgia has a baby on board and wants everyone to know. Amy just wants to be able to feed her baby. Come on board baby-go-round airline’s lunchtime flight, fasten your seat belts and join us on the fertility rollercoaster.